I write to you to ask for financial help for my sister's family. 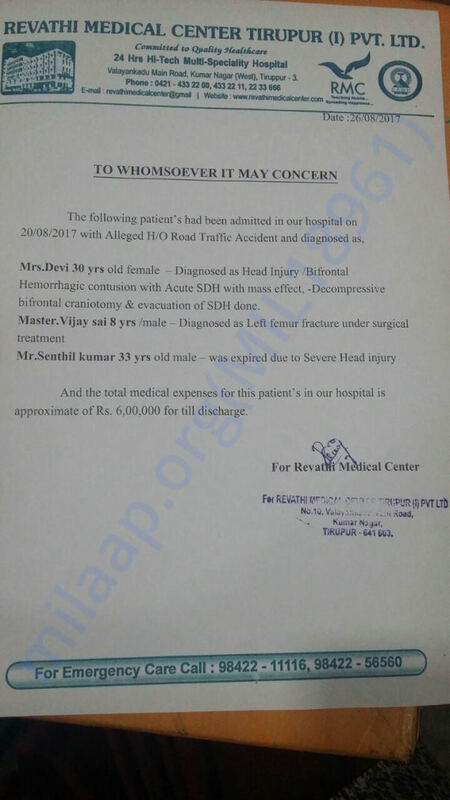 Last Sunday (20-08-2017), my sister's entire family [J.Senthilkumar (33), S.Devi (32), S.Vijay Sai(9), S.Dhibashish (2)] met with a deadly accident in Tirupur. My brother-in-law runs a small canteen inside a dyeing factory. His monthly income is merely INR 6000-7000. When they were on the way to see a doctor to treat their younger son's fever around 2.30 in the afternoon, they were hit by a mini bus. Both my sister and brother in law were suffered severe head injuries. On arrival at hospital, he did not have any eye movement and declared dead due to bleeding inside brain. 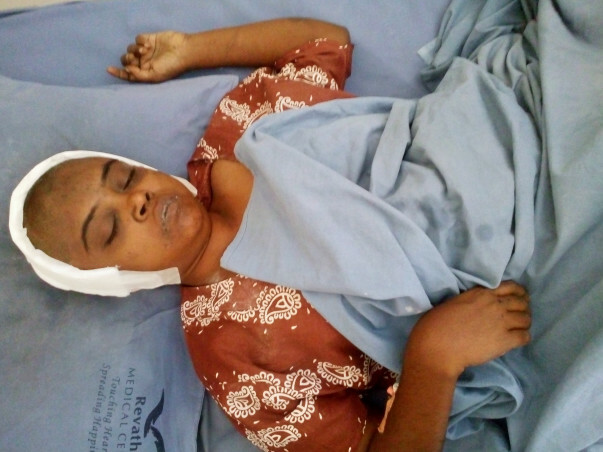 My sister was operated on the head and managed to survive. Elder son's thigh bone has broken and he too undergone a surgery. Younger son escaped with minor scratches. Devi's surgery went well and hasn't returned to full consciousness. A police case is registered and an advocate has started required legal proceedings. My parents' financial situation is very poor and given my unemployment condition we are struggling to settle the hospital dues. It will take up to 2 years for getting compensation from court. Until such time I have to support this family financially. I plan to use the funds to settle hospital bills, Devi's post surgery medical expenses and Vijay Sai's education.I can assure that every single rupee will be spent towards this fatherless family.